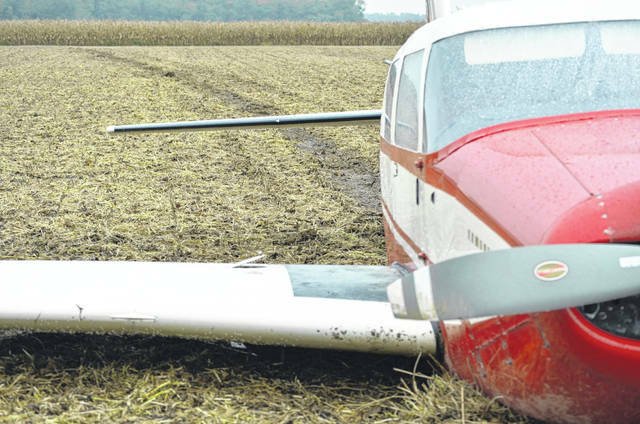 PUTNAM COUNTY — Shortly after 11 a.m. on Friday, Oct. 5, Putnam County Sheriff's dispatch received notification that a small passenger plane had lost its engine and was attempting an emergency landing at Putnam County Airport. 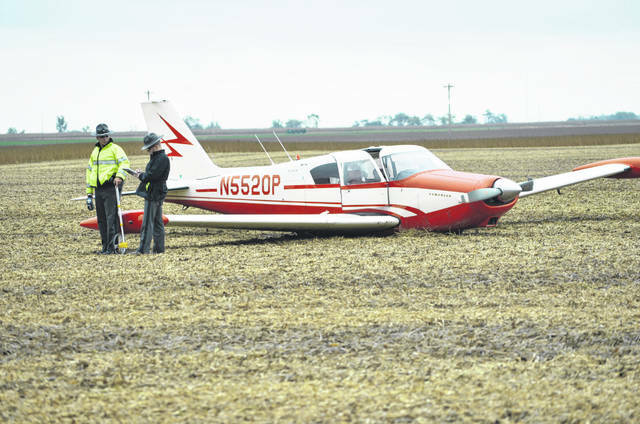 The plane did not make it, and instead landed in a field on Road 5F, roughly a quarter mile north of Fountain of Life Church near Leipsic. According to Sheriff Siefker, the three passengers onboard are a family - father, mother, and daughter - who were traveling from Michigan to Kentucky for a show of some kind. They reportedly did not suffer any injuries. Putnam County Sheriff deputies and EMS arrived to the scene quickly. State Highway Patrol is now on the scene as well. Agents from the Federal Aviation Administration are in route. This is the way it is supposed to happen. 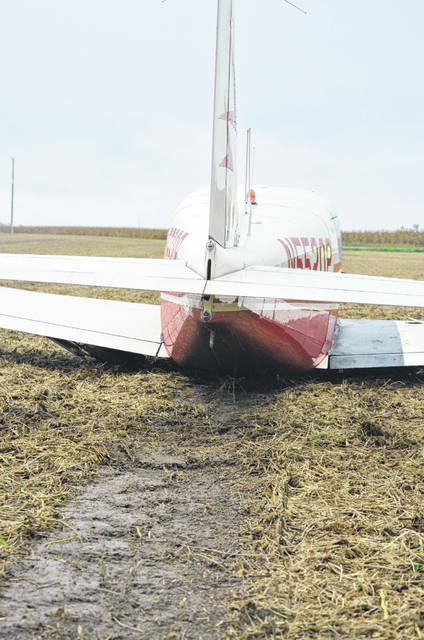 Kudos on a well-executed off-airport landing. That nice old bird should be able to fly again.